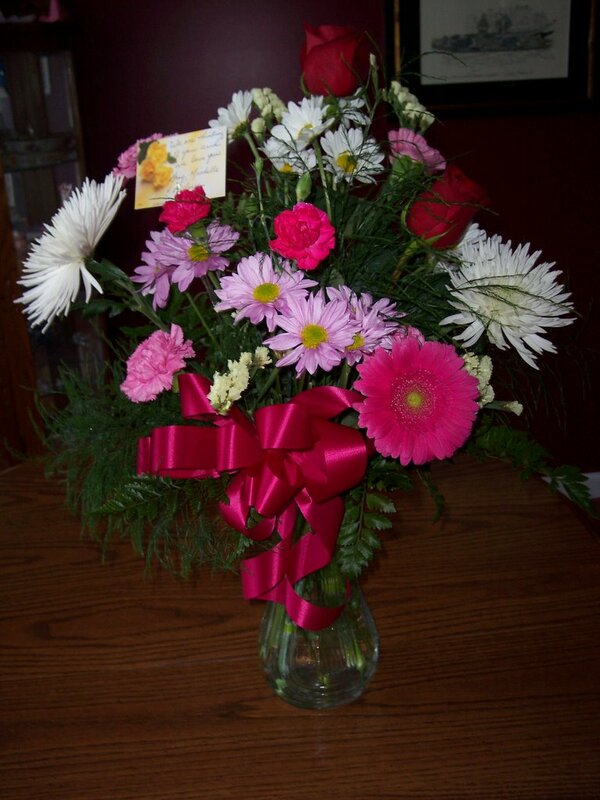 My sweet sister Michelle, aka Princess of Everything, sent me these beautiful flowers. Hey, my biopsy site feels better already! Also, I want to thank everyone who has sent me encouraging words. It really does help! You all are great!